The ‘Old Legend’ pays homage to Barossa Grenache. Grenache wines of various styles and blends have been produced in the Barossa for over 150 years from old vines and old clones. When founder Keith Hentschke purchased the property, he was looking for a shallow red brown clay loam soil profile overlaying the limestone to reduce the natural vigour of the vine, allowing vibrancy and intensity to shine in the fruit. 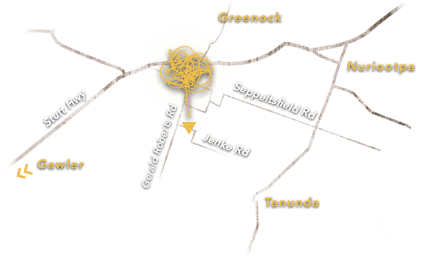 The Grenache is selected from a block approximately 300m above sea level (ASL) situated on an easterly facing slope around 500m from Greenock Creek. before blending and bottling in December 2017. - Winemaker, Andrew Quin. This wine has a hugely complex & very evolving nose, showing various elements at every inhale - traditional aromatics of Turkish Delight & strawberry lead the way on the nose, followed closely by a strong spice & floral lift with specifics of nutmeg, lavender flower, rose oil, star anise, jasmine & quince paste! The palate shows the same level of complexity in flavours & a full, even tannin profile. There is a surprising level of density combined with a true air of elegance to this wine.